Decorative Jhumar, Latkans and Hangings for Diwali: Elite Handicrafts presents an elite collection of decorative Jhumar, Latkans, Hangings and other decorations items for Diwali to choose from. Shop now! Diwali is one of the brightest and biggest festivals of India celebrated with great gusto and enthusiasm by the people irrespective of cast, creed and religion all over the country. According to Hindu mythology on this auspicious day lord Rama had returned back to his kingdom Ayodhya from the exile of 14 years. The people of Ayodhya welcomed their beloved prince by lighting up earthen lamps and sharing sweets with each other. Since that day Diwali is celebrated all across the country with zest and zeal. People clean their houses and work places, paints with new color, decorate and illuminate house with earthen lamp and candles to brighten the darkest night of the year. It is the tradition and custom of the festival to decorate their house with diyas, candles, flowers, electric bulbs, torans, wall hangings and other decorative items. Diwali is time to decorate. It is the moment to apply all the decoration techniques at a place. If it comes to exclusive Diwali decoration then Jhumar, latkan and chandeliers are few of the things with which the exclusive Diwali decoration is incomplete. Applying all the hanging beauty at a place with bright Diwali lights is something that is much awaited in the festival. Jhumar is nothing but decorative hanging made up of ribbons, paper, mirror pieces, beads, motifs and other attractive items that are used for decoration purpose. And latkans are the wall hangings hung on the wall of your home or work place to enhance the look of the place and this also brings positive energy at home. From spiritual to designer, traditional or fancy Jhumar and latkans, we have everything to cater your desire. Explore our site and choose the best one where you will get infinite varieties of torans and Jhumar to choose from. This Diwali, shop online for Jhumar, latkans and other decorative item to adorn your home for a hassle free shopping experience with us. Jhumar is a Hindi word which means something which is hanging; similarly latkan too carries the same sense. There is a trend in Indian homes that Jhumar and latkan are changed every year on the day of Diwali. It is a part of Diwali decoration ritual. Keeping in view the demand of Jhumar and latkan markets offer various designs and pattern in these chandeliers. From normal paper lamps to premium chandeliers Diwali shopping is filled with an array of Jhumar, latkan and chandeliers. Find the unmatched quality and design Jhumar and latkans exclusively at Elite handicrafts. At elite handicrafts it is our endeavor to promote the handicrafts of the country that’s why we bring the best piece of Indian handicrafts in the global stage of online shopping so that you can meet your requirements at the price of your traditional shopping. You can buy or send Jhumar and latkan at Elite Handicrafts and let the happiness and prosperity crawl in your home this Diwali. Jhumar is the center attraction of a home. People use in the hall or center of the ceiling of their drawing room which enhances the look of the home. So, on this Diwali you can also decorate your home with Diwali Jhumar that are embellished and decked with beads, pearls, stones, latkans, artificial flowers, etc. these makes the Jhumar look even more beautiful and eye-catchy. We have infinite varieties of Diwali Jhumar and latkans that are perfect to adorn your entrance, balcony, drawing or living room, etc. Dual Ganesha motif metallic latkan, Ganesha and Om Motif Latkan, Multicolor beads fancy Jhumar, Pearl and beads Jhumar, Flower Latkan, Beads Latkans and Ghungroo Latkans are some of the best collections of ours. You can explore our site to choose the best from much more varieties available at our site. 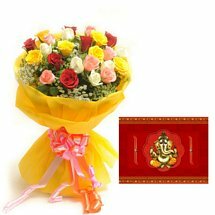 Buy Diwali Jhumar and latkans online and decorate your house well with these decoratives on Diwali. 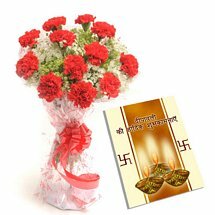 Jhumar and latkan is also a favorable gift item to surprise your dear ones on the auspicious occasion of Diwali. Since Diwali is about decorating homes then what could else be the best gift than a decorative item for your loved ones. We have array of Diwali Jhumar and latkans from traditional to spiritual and fancy to designer everything is available here that will fulfill your desires. You can also send Diwali Jhumar to India online if you are far from your beloveds on this auspicious occasion. 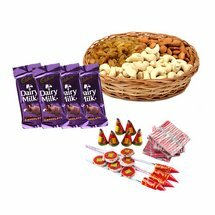 You can also buy Diwali hampers and teem with designer Jhumar or latkans to give a special surprise to your dear ones who are miles away from you. 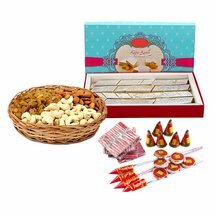 Giving gifts to loved ones is the tradition of the Indian festivals especially in Diwali. Diwali witnesses the biggest gift exchange season of the year in corporate sectors too. People give gifts to their loved ones to convey best wishes, love and care. Those who live far from their family and friends they use to send Diwali gifts to India online and celebrate festival from miles away. 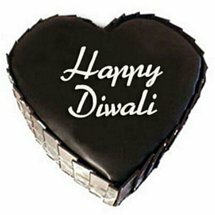 You can also be the part of your loved ones by sending them Diwali gifts online. This will bring wide smile on their face and they will also come to know what a special place they hold in your life and heart. So, this Diwali pick a unique gift for your dear ones which you haven’t even thought of like Diwali decorations. Explore our site where you will get wide range of Diwali decorations including Jhumar, latkans, bandarwal, artificial flowers, wall hangings, door hangings and much more.